Also, I noticed you hadn’t included the Ewald paper in your ref list accidentally (I noticed because I was one of the authors – my vanity showing out there!) – so here it is for those who are interested: Ewald, J.A., Wheately, C.J., Aebischer, N.J, Duffield, S.J., Crick H.Q.P. & Morecroft, M.D. (2015) Influences of extreme weather, climate, and pesticide use on invertebrates in cereal fields over 42 years. Global Change Biology 21: 3931-3950. 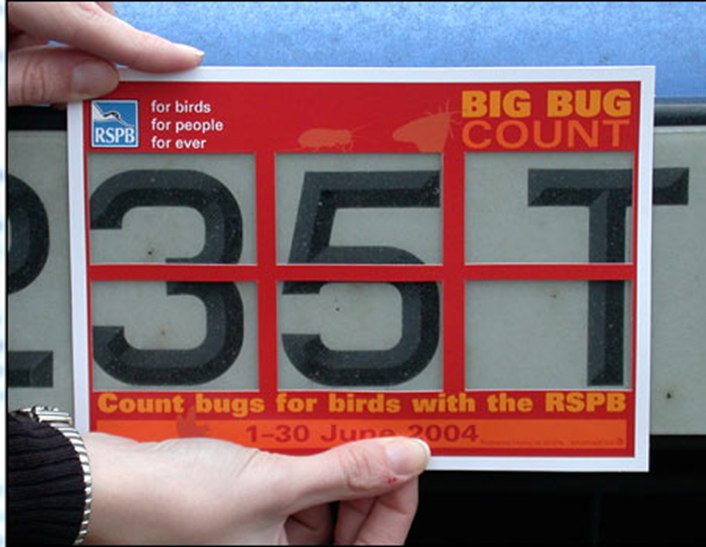 Here in France people like Tristan Lafranchis are beginning to talk openly about roadkill as now being a significant factor in the continuing population decline of certain butterfly species, more evident as their population has already declined greatly habitat is increasingly partitioned by roads or tracks and vehicles increase in number and speed. 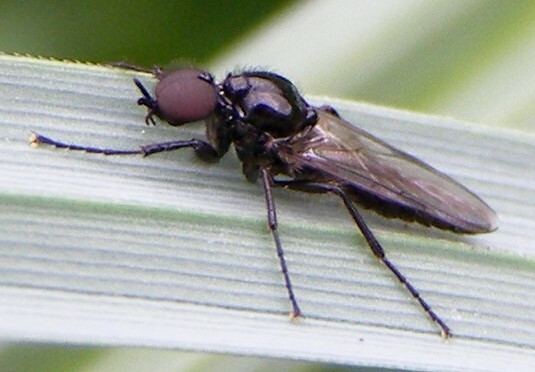 There have been few studies of insects killed by road traffic, and a lack of research on insect road ecology [only 50 articles on the topic published in the last 46 years according to Munoz et al. (2015): In James H. Baxter-Gilbert, Julia L. Riley, Christopher J. H. Neufeld, Jacqueline D. Litzgus, David Lesbarreres (2015). Road mortality potentially responsible for billions of pollinating insects deaths annually. Journal of Insect Conservation 19: 1029-1035. My own research on insect road mortality shows that a large number of stag beetles, Lucanus cervus are the victims of road traffic each year, with three times as many females being killed compared to males. 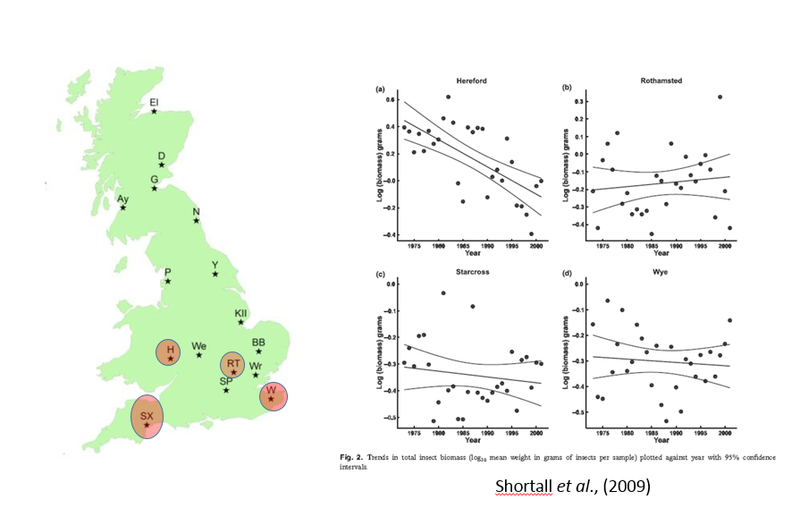 Road-transect mortality surveys of stag beetles were carried out across its distribution range in the UK, in some cases over a period of eight years. The results from one of these transects over a five year period is given in: Harvey, D. J., Hawes, C. J., Gange, A. C., Finch, P., Chesmore, D., Farr, I. (2011). Development of non-invasive monitoring methods for larvae and adults of the stag beetle, Lucanus cervus. Insect Conservation and Diversity 4: 4-14. Thanks for an interesting post underlining the need for real evidence before we make conclusions. I wonder how much information might be gleaned from the careful observations/notebooks of interested individuals. I wonder, Simon, if you could comment on the recent paper on the decline of insect biomass in Germany in the light of the other studies already cited here.